PowerCell Sweden, a company specializing in hydrogen fuel, has launched a new study project that is aimed at the development of a new system that is able to store and produce hydrogen through the use of excess electrical power. This energy would be generated through wind and solar power systems that have already been developed in Sweden. Fuel cells will be using the hydrogen fuel generated through this system to produce backup electrical power. Existing solar cells and wind turbines have managed to provide a significant portion of energy for Sweden. The problem, however, is that wind currents are not always strong and cloudy days can reduce the amount of electricity that solar arrays produce. Hydrogen fuel cells can resolve this problem, providing Sweden an adequate way to produce energy when solar and wind are not viable. With nuclear energy being phased out in Sweden, these fuel cells could become a very valuable source of power in the country. PowerCell has partnered with Hydrogen Sweden, Wallenstam AB, and Midroc Automation in order to launch the new project. The project is expected to provide a great deal of insight on hydrogen storage and production methods. Most conventional methods of hydrogen fuel production relies heavily on fossil-fuels, such as natural gas. Using clean energy can reduce the environmental impact of hydrogen production, making fuel cells more attractive when compared to other forms of clean power. The study project is expected to kick off in 2016, with participating companies providing a wide range of expertise and support to ensure that the project is successful. 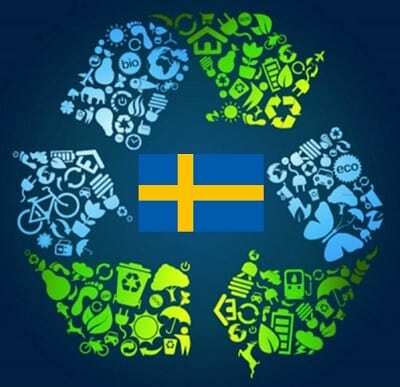 Depending on the success of the project, a new hydrogen fuel storage industry may emerge in Sweden, especially if fuel cells continue to gain more support in a variety of sectors. The transportation space, in particular, is expected to power the growth of fuel cells in the coming years.